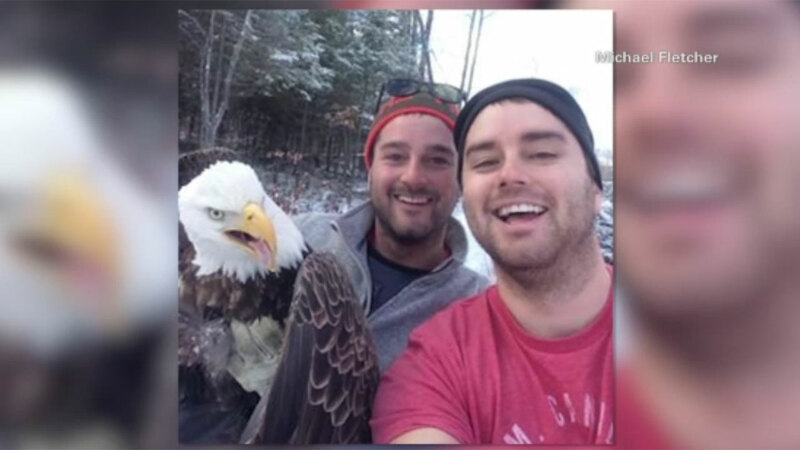 ONTARIO, Canada -- Two brothers recently saved a trapped bald eagle in Ontario, Canada, and at the same time, took this memorable selfie. Michael and Neil fletcher found the eagle caught in a metal hunting trap while driving through the woods. They stopped to help and were able to pry open the trap just enough to free the eagle's talon. This being 2015, the pair naturally took a selfie with the grateful bird. They also caught a video of the newly-freed eagle flying off into the Canadian wilderness.